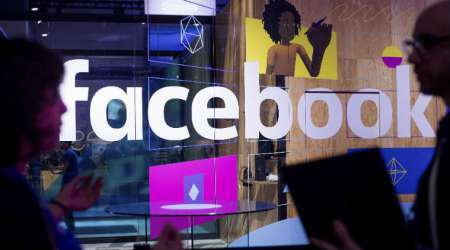 Facebook Inc will invest $300 million over three years in local news globally as it faces blistering criticism over its role in the erosion of the news business worldwide. The investment in time and money is a significant expansion of a plan to help newsrooms in the U.S. and abroad create and sustain viable business models to survive, the company said on Tuesday. Unlike earlier investments in the news business, this latest round is distinguished by how it is not tied to Facebook-related products, recipients of the investments say. Earlier rounds of investments in the news business were designed to encourage publishers to rely on delivering its products over Facebook, which eventually hurt many news organizations when Facebook’s strategies shifted. “We’re going to continue fighting fake news, misinformation, and low quality news on Facebook,” Campbell Brown, Facebook’s vice president of Global News Partnerships said in a statement. “But we also have an opportunity, and a responsibility, to help local news organizations grow and thrive.” Critics have slammed Facebook for its role in providing a platform for hate speech, misinformation and political meddling. The recipients of the investments include the Pulitzer Center, Report for America, Knight-Lenfest Local News Transformation Fund, the Local Media Association and Local Media Consortium, the American Journalism Project and the Community News Project. Fran Wills, CEO of the Local Media Consortium, an alliance of 80 news companies representing 2,200 outlets, said Facebook is helping the group create a branded content program aimed at attracting new advertisers. “Facebook is making this investment to help support local media companies … open up new revenue streams that will support local journalism,” she said. Last December, it announced a $6 million investment in local publishers in Britain. It also plans to expand an “Accelerator” program it launched last year to help local newsrooms such as the San Francisco Chronicle and the Denver Post improve its ability to attract subscribers and membership donations. “It’s in their best interest to have as much credible content as they can have on their platform and that’s a direct benefit to consumers,” Wills said.